Nautical | Feel The Magic Ltd. This set is designed for couples looking for an informal and fun wedding invitation with a nautical theme to suit a seaside, tropical resort, yacht club, marina or cruise ship wedding and can be used for both day and evening invitations together. 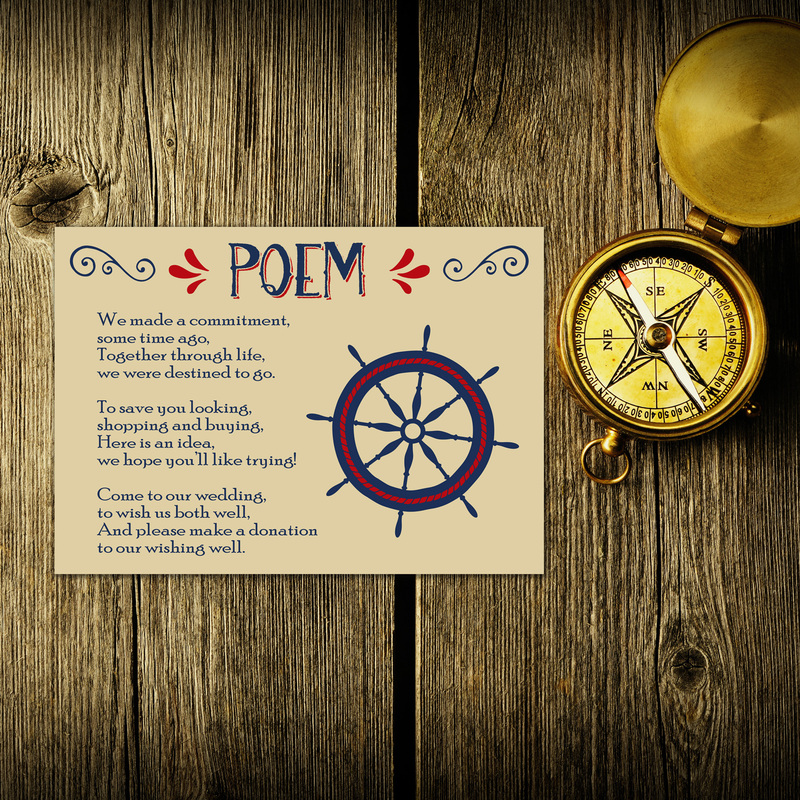 The set comes with an A5 (148mm x 210mm) poster size invitation, an A6 (105mm x 148mm) postcard style RSVP card (which is printed both sides and includes your return address) and a third A6 size card which can be either a Wedding Poem or Information card. 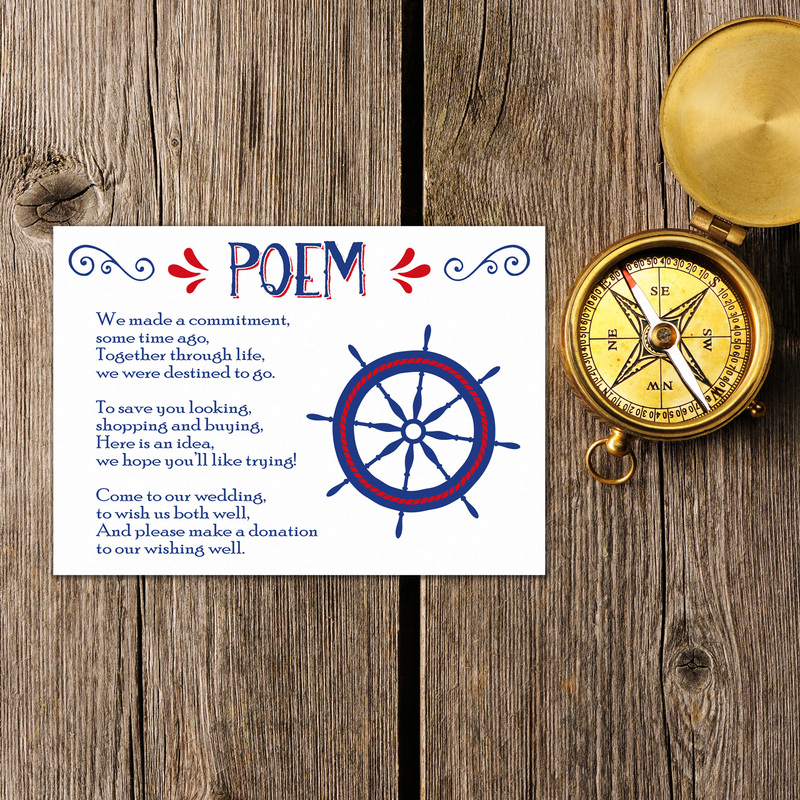 We can also supply additional cards, just let us know what you need and we will provide you with a quotation. 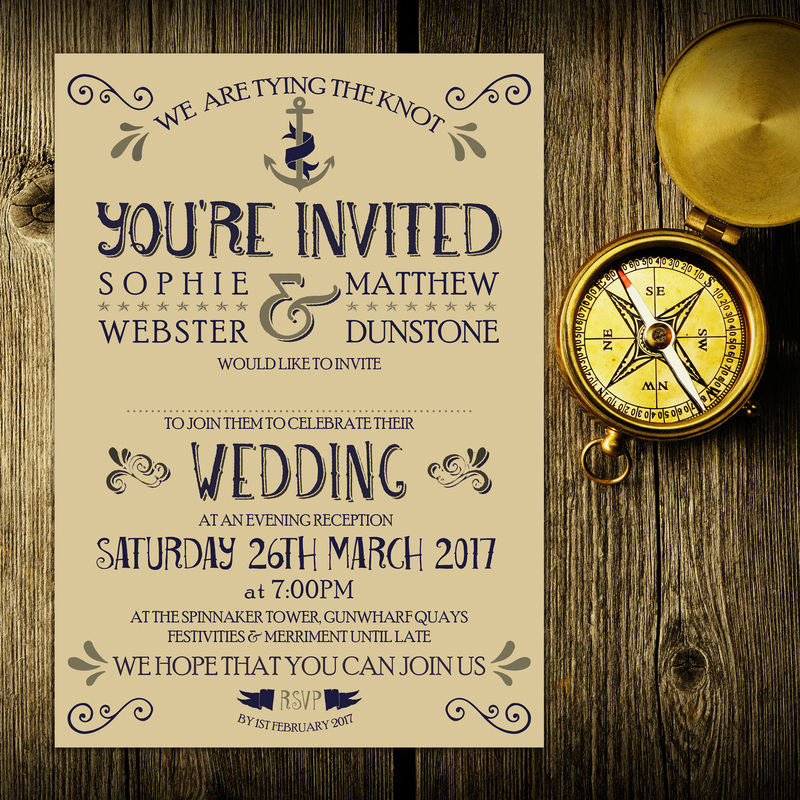 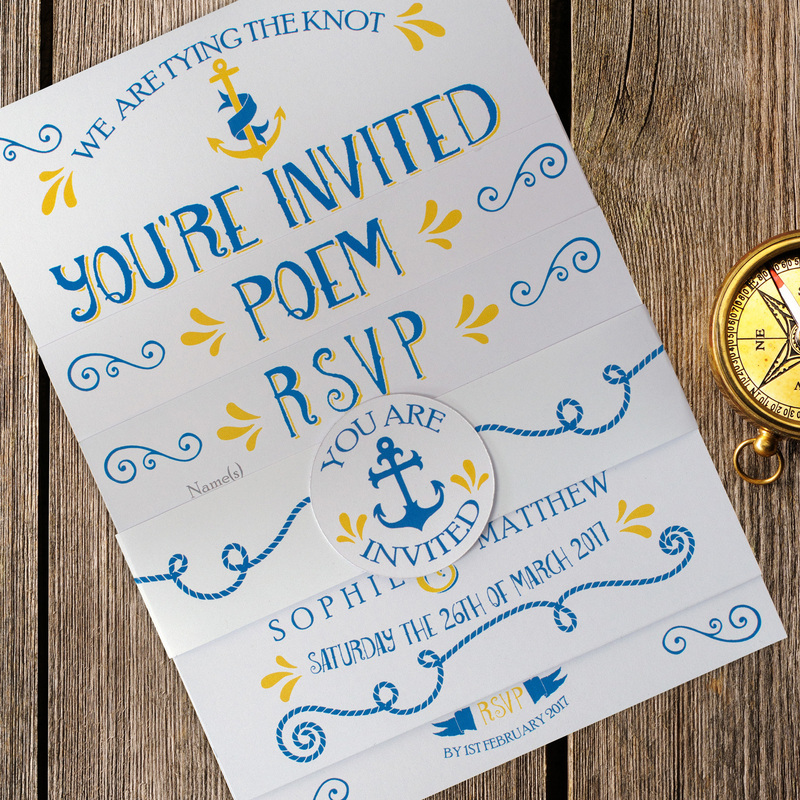 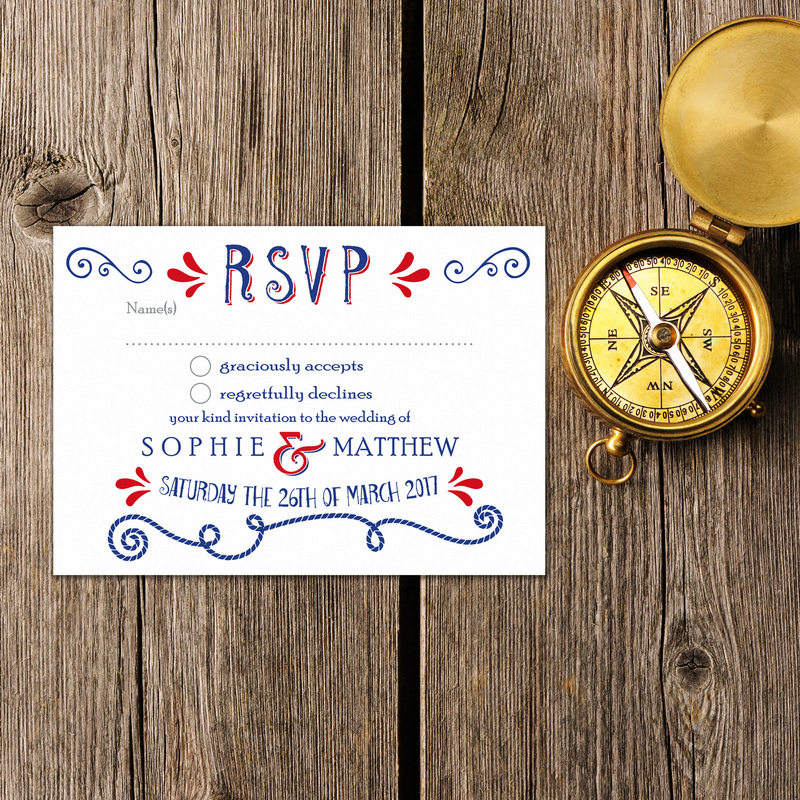 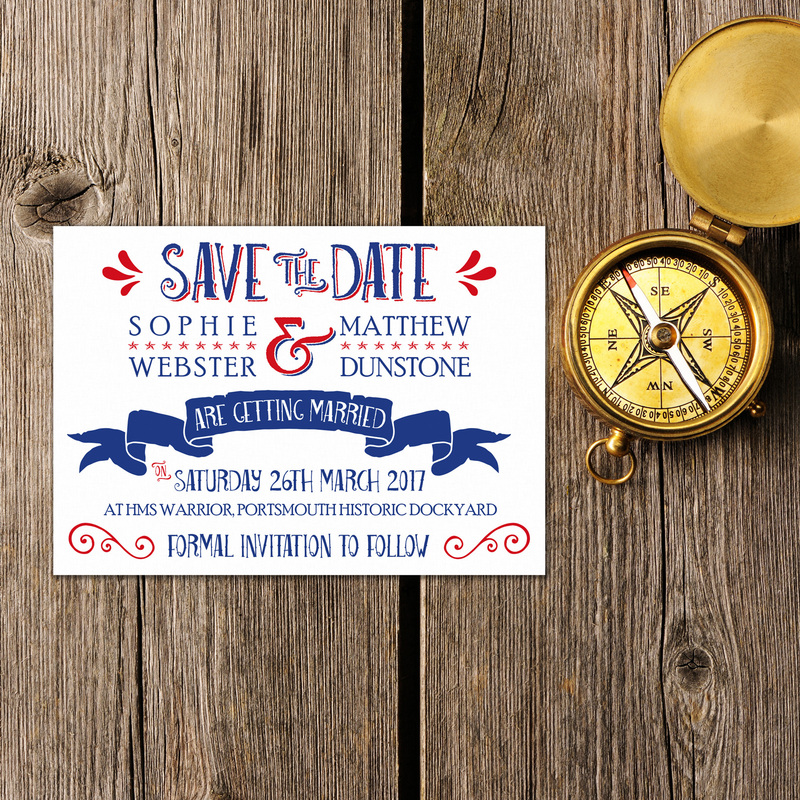 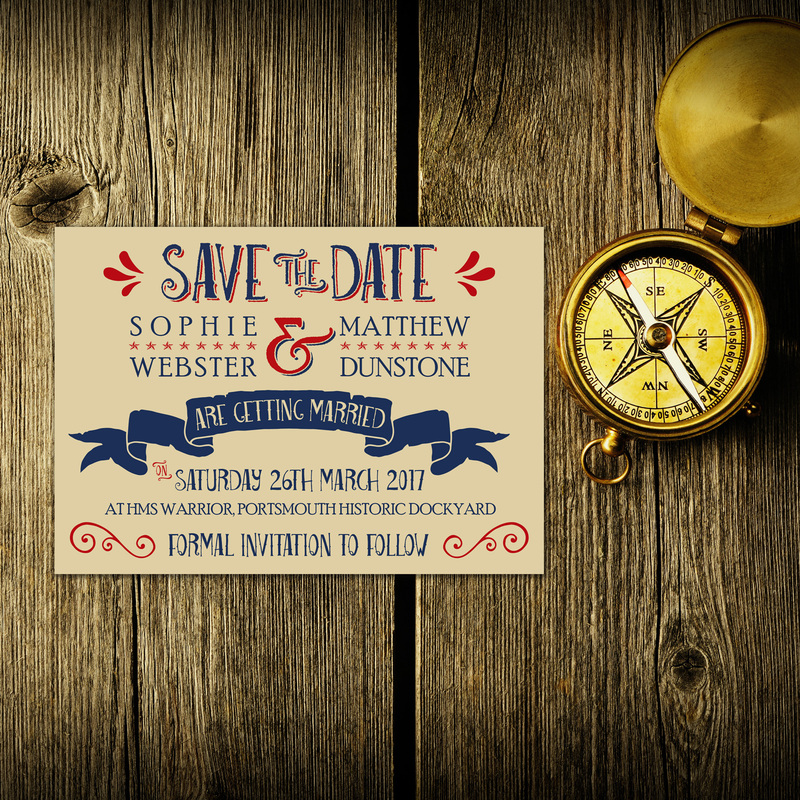 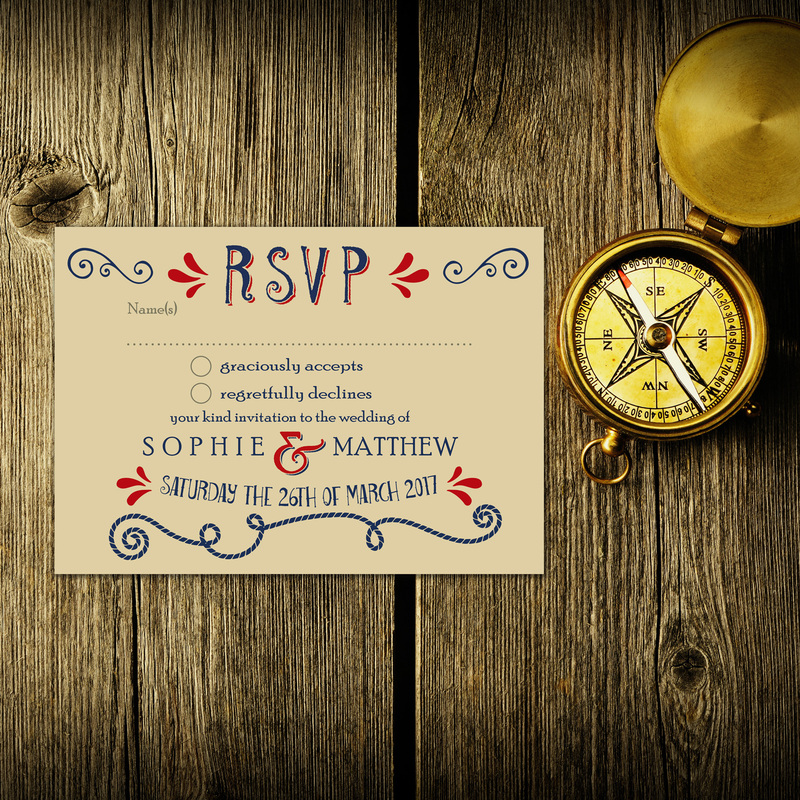 Each invitation set is supplied with a good quality envelope to match the style and presentation of this nautical set and is finished with a matching paper belly band and ‘You’re Invited’ circular tag.